Welcome to the Plotnik lab, a research group focused on understanding the evolution of complex cognition across a wide range of species, and studying how behavior and cognition can be applied to endangered species conservation. The Comparative Cognition for Conservation Lab is a research group, led by Prof. Joshua Plotnik, focused on understanding the evolution of cognition across evolutionarily distant species. 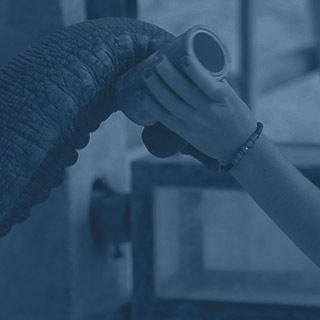 Our main focus is Asian elephants, and we work both in U.S. zoological institutions and in elephant range countries. 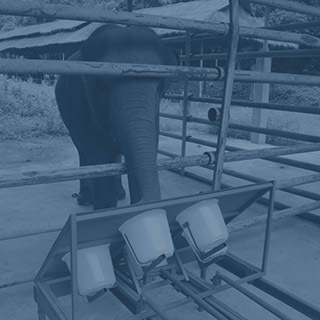 Dr. Plotnik has been actively working with elephants in Thailand since 2006. In addition, students in the CCC lab have worked, or are planning to conduct research in the near future, with pangolins, domesticated animals such as horses, dogs and cats, and people! We conduct ethological and experimental research in a variety of settings. Look (or, if you’re an elephant or pangolin, smell!) around, and contact us if you have questions or interests in line with our own! Ecology, behavior and cognition can influence conservation. 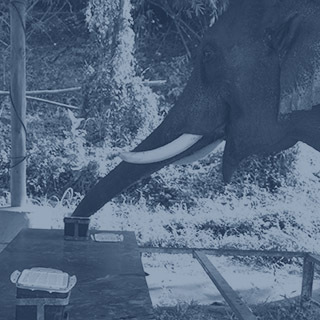 Elephants make a great case study! Read our latest article on this here.